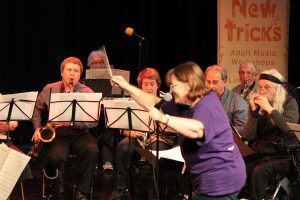 New Tricks is soundLINCS’ Older Adults Music Service across Lincolnshire, supported by funding from Arts Council England and the Postcode Community Trust. New Tricks is an exciting and inclusive programme, facilitated by soundLINCS to establish and sustain music-making groups across the county. 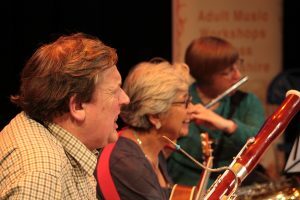 Having already run in over a dozen locations, join with us to create a dynamic and inspirational music service for older adults across Lincolnshire. Active musicians or complete beginners. Blowing the dust off something you haven’t played since school or if you’re keen to explore a new instrument. Creating your own music or starting to learn your favourite songs. Meeting with like-minded people who love music. There are opportunities in a huge variety of musical styles, from choral and orchestral to folk and blues. 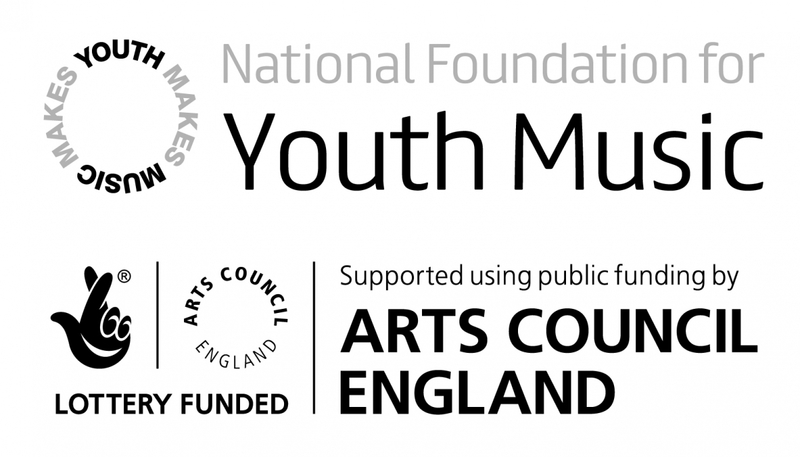 All groups are free to try and will offer opportunities to share your skills with a wider audience, whether through live or digital performances. Some fantastic case studies and stories have already emerged from the project, from former professional musicians recapturing their love of their instrument to people stepping outside of their comfort zone and performing publicly and with others for the first time. To read just a few of these, visit our New Tricks Stories page here. 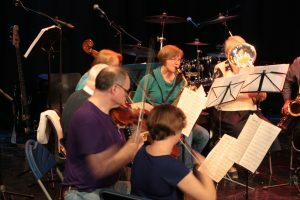 soundLINCS’ Silver Sunday event took place at Louth Riverhead Theatre with five New Tricks groups performing to an appreciative audience of soundLINCS Music Facilitators, musicians, singers, family, and friends. The afternoon included performances from: Sing out Louth! community choir from Riverhead Theatre, Louth; Sing it Loud! community choir from Methodist Church Hall, Woodhall Spa; One Good Eye, Rhythm and Blues Band from Lincoln Library, Lincoln; Mablethorpe Musicians, Instrumental Ensemble from Mablethorpe Library and Coastal Centre, Mablethorpe; Great Grimsby Ukulele Orchestra, Ukulele band from Wheatsheaf Public House, Grimsby. 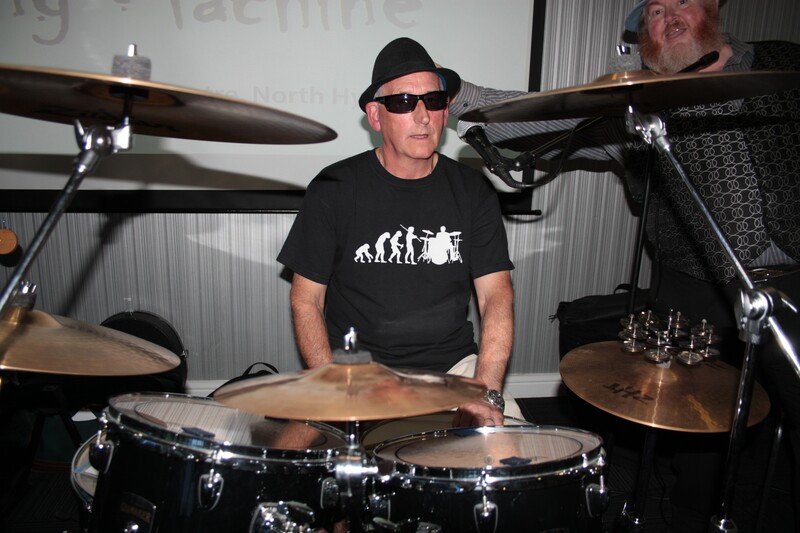 Saturday 2nd June 2018 saw New Tricks groups ‘One Good Eye’, ‘Old School Killing Machine’, ‘Stringemy Jig’ and more perform at Lincoln’s very own ‘The Blue Room’ located at The Lawn. The groups involved performed a variety of songs to a fantastically enthusiastic audience who could not get enough of their music. 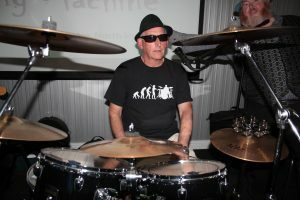 The likes of these groups originated from soundLINCS New Tricks project and it is a testament towards what can be achieved at these organised events. Read up for more information on how to get involved. To view all the New Tricks at The Blue Room videos, click here. Silver Sunday was a special sharing event held at The Terry O’Toole Theatre on Sunday 1st October 2017 to celebrate the United Nations’ Older People’s Day. 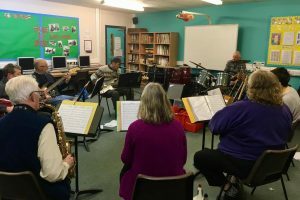 Over half a dozen New Tricks groups from across Lincolnshire came together to share their progress with an audience of family, friends and fellow musicians. Below is a playlist of just a few of the videos of the great performances that we saw on the day – watch this space for more coming soon! For an album of photographs from the event, visit the Flickr album here. soundLINCS are also looking for organisations, gro ups and venues to join us with New Tricks. 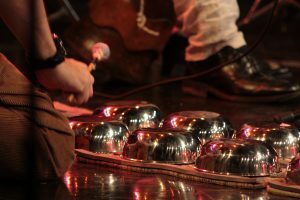 Are you an Arts or Cultural Setting that wants to host more music-making opportunities to attract and grow your audience? Or are you a parish group that wants to start a ukulele group or choir? Whatever your circumstances we would love you to be a partner and host an amazing New Tricks activity. 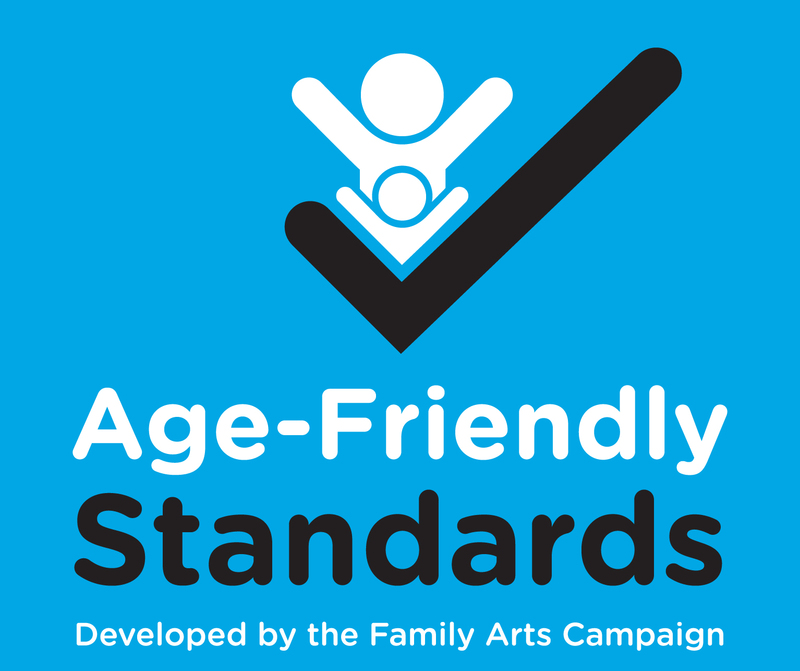 New Tricks and soundLINCS are proud to be part of Arts Council England’s Age Friendly Standards, a national self-assessed accreditation for cultural organisations and a recognised and trusted symbol for older audiences and family groups including older people. For more details about New Tricks contact soundLINCS on 01522 510073 or info@soundlincs.org. 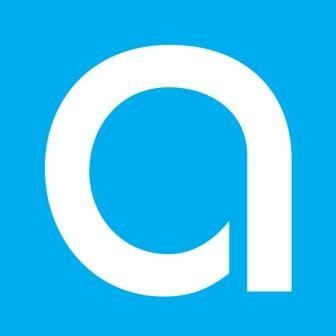 Check out our events page to find upcoming sessions. soundLINCS thanks the players of People’s Postcode Lottery for their contributions, as it is their valued support that has helped to make soundLINCS’ New Tricks programmes possible. The programme enables older adults to take part in music-making sessions regardless of their skills and abilities providing opportunities for them to meet with like-minded people in their localities.